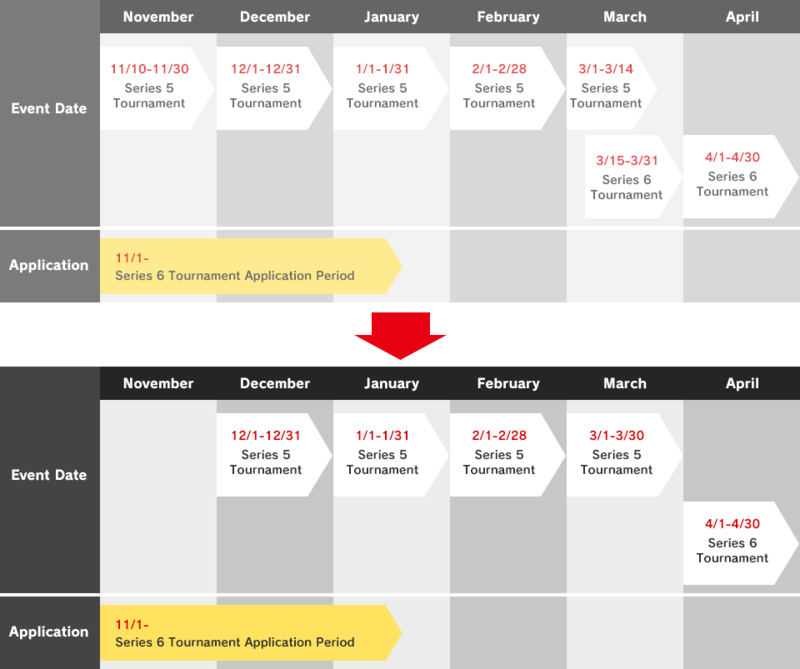 Since there's a chance that product shipment times for Europe are going to change, we're adjusting the Series 5/6 tournament schedule and application period just in case. The Series 5 tournaments in November will sadly have to be cancelled, and will instead be starting from December 1st. Those tournaments were originally scheduled to end around March 14th, but will be extended until March 30th. Series 6 Tournaments will begin on April 1st. For stores that already applied for these tournaments, we apologize for the inconvenience. We’ll be providing further information once we know the release date for Series 6 in Europe.